Pro-Am Tournaments are held in 11 cities across Canada which include Toronto, Montreal, Vancouver, Calgary, Edmonton, Halifax, Mississauga, Kitchener-Waterloo, London, Barrie and Markham. Choose the Tournament closest to you or travel to another Tournament destination across Canada. Whether you have a full team, partial team or you want to register as a Free Agent, we’ve got you covered. Select your Tournament city and get registered today! Over 90% of funds are raised online and Players raise an average of 20% more when they utilize their online fundraising centre. See the FUNDRAISE tab for more information on how to maximize your fundraising efforts! All Players must meet a minimum fundraising requirement by puck drop to participate. 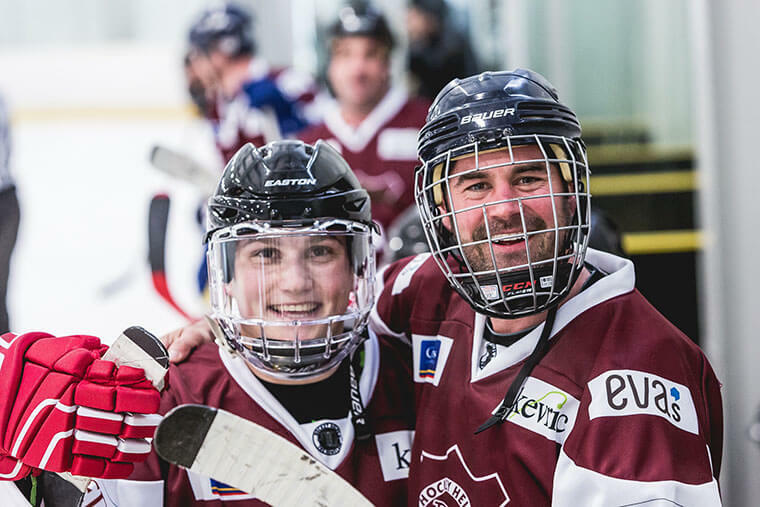 At Hockey Helps the Homeless we support you by providing the fundraising tips and tools you need to exceed your fundraising targets. See the FUNDRAISER tab for more information on how to maximize your fundraising efforts! Enjoy complimentary bag drop service, breakfast, lunch and dinner alongside hockey legends. All players receive a personalized jersey and participant gift before lacing up with the Pro’s. 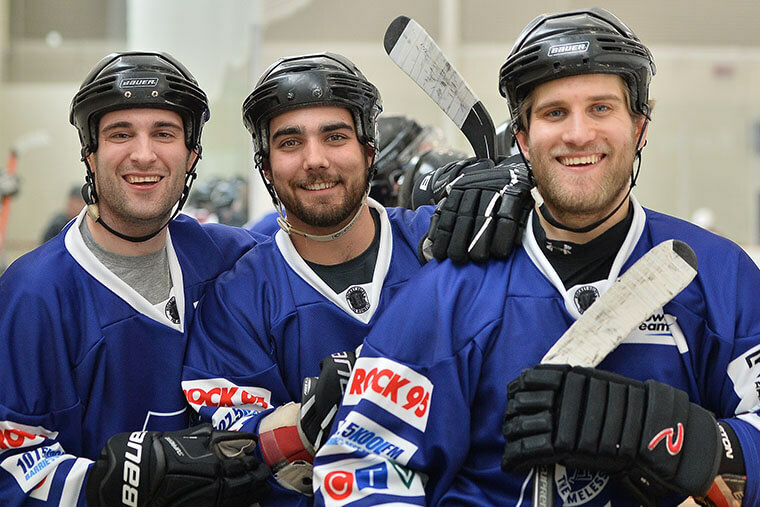 At Hockey Helps the Homeless we provide Sponsorship opportunities that meet the goals of your organization. Hockey Helps the Homeless Tournaments would not be nearly as successful if it wasn’t for our generous Donors. 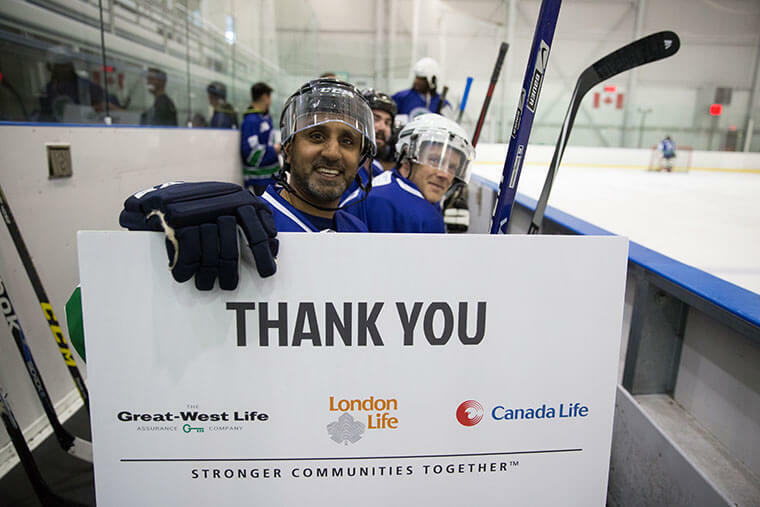 Annually, over 15000 Donors combine to give over $2,000,000 and we are incredibly grateful for your support. Thank you. 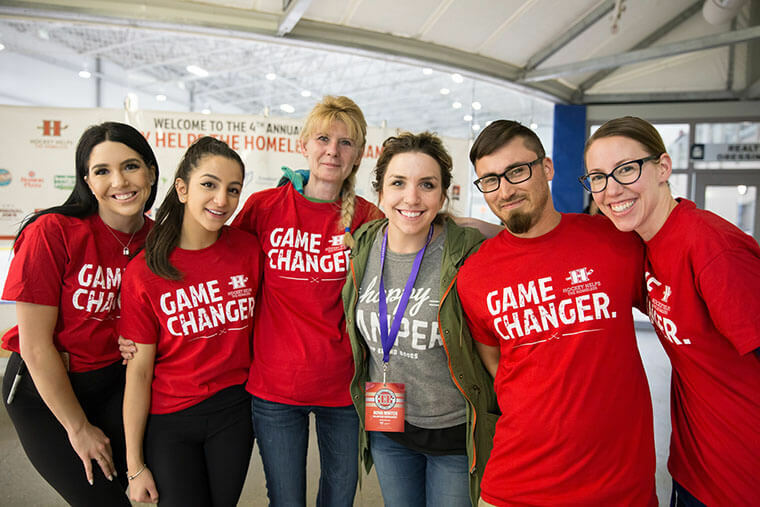 Each Player must meet a fundraising minimum by puck drop to participate in a Hockey Helps the Homeless Tournament and we’re here to help! See below for the 5 steps to exceeding your fundraising targets. For more information download the Fundraising Playbook here! List anyone and everyone that could donate to your Campaign – Friends, Family, Colleagues, Neighbors and Clients, etc. and then upload their contacts quickly and easily into your Participant Support Centre.